To celebrate the publication of Frank Einstein by Jon Scieszka, I have been asked to write a post about my top ten robots. Now I am an 80’s child, so you are going to have forgive me if you don’t know some of chosen robots. So here goes – my top ten robots! In the wake of the suicide of Robin Williams, this film has been on my mind a lot, so I thought it was only fitting that Bicentennial Man should take the Number 1 spot. This is one of my favourite films and the character’s quest to be human is simply heart breaking. Metal Mickey was a TV series from the early 80’s and one I remember fondly. Every Saturday night, I would also sit down before dinner to watch the hilarious antics of this robot, who lived with a perfectly English family, after their son created Mickey to help him around the house. I love the Star Wars films. I don’t know how many times I have watched them. So C3PO most definitely had to be on this list. And you can’t have C3PO on the list without having his sidekick, R2D2. Twiki from Buck Rogers was definitely one of my favourite robots growing up. He used to make me laugh with his ‘Bedeep bedeep bedeep’ as he shook his head. Now who didn’t want a car like KITT from Knight Rider? With a computer module set in an extremely advanced car, he was the most intelligent robotic automobile around at the time. Being a huge Friends fan, I couldn’t resist this one. Who could forget the episode with Mac and C.H.E.E.S.E where Joey auditions for a new show with a rather difficult sidekick? 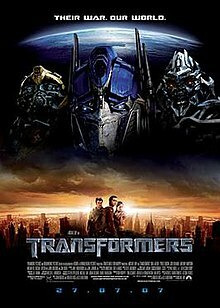 I told you I was an 80’s girl and this was definitely one of my favourite robot films. Inspired by Frankenstein, Lisa, played by Kelly Brook is created when two rather bored teenagers decide to make the perfect woman on their computer. 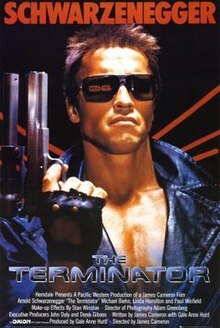 It would be wrong not to include The Terminator – this cyborg assassin sent back from the future to kill Sarah Connor. I wouldn’t say he was my favourite but I have watched the movies endlessly. So there you have my top ten robots of all time. If you are following the Frank Einstein blog tour, then make sure you pop over to Library Mice tomorrow for the next installment. Frank Einstein loves figuring out how the world works by creating household contraptions that are part science, part imagination, and definitely unusual. After an uneventful experiment in his garage-lab, a lightning storm and flash of electricity bring Frank’s inventions—the robots Klink and Klank—to life! Not exactly the ideal lab partners, the wisecracking Klink and the overly expressive Klank nonetheless help Frank attempt to perfect his Antimatter Motor . . . until Frank’s arch nemesis, T. Edison, steals Klink and Klank for his evil doomsday plan! Using real science, Jon Scieszka has created a unique world of adventure and science fiction—an irresistible chemical reaction for middle-grade readers.